Well, I have a new love in my life peeps! They are these super cool and comfy new sandals I picked up in Lidl this last week (like 3 days ago) and the best part? They were a bargainous £5.99 – I couldn’t believe it and just had to have them. 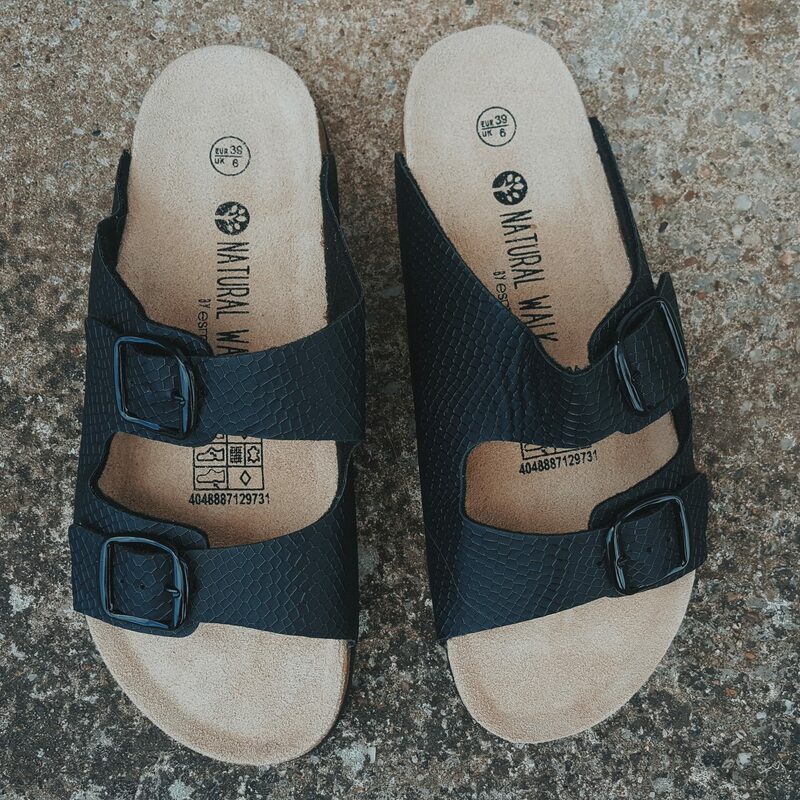 I have always loved the Birkenstock look and the comfy vibe of this style of footwear for Summer. However, as someone who lives on modest budget I have never felt able to justify the price of buying a real pair for myself (I have high hopes though that I will one day). 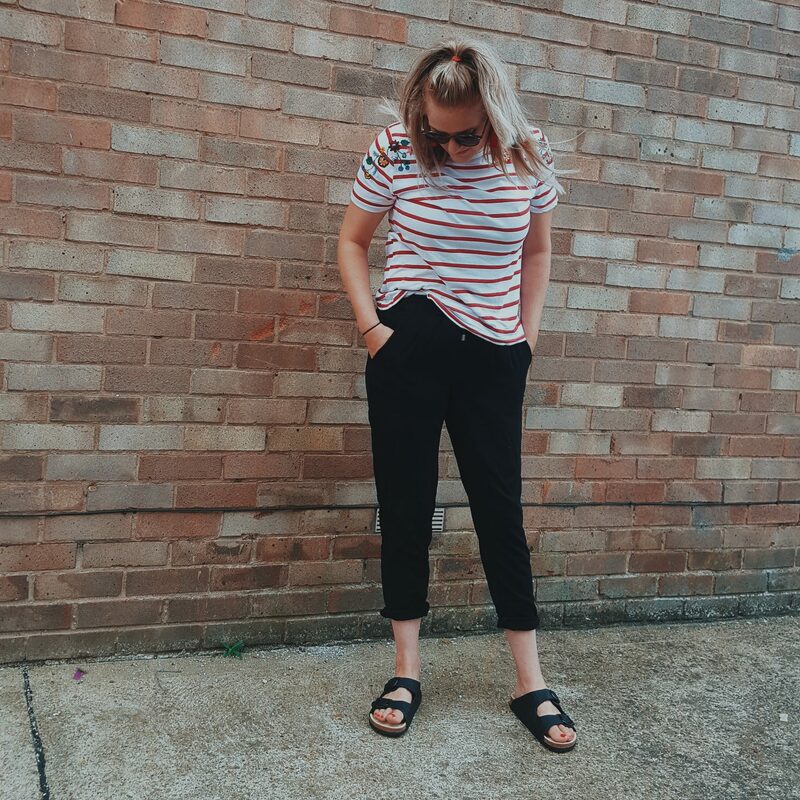 I therefore have always being drawn to find look a like budget versions that I can live in for Summer and that I can be confident with for my go to shoe! I found some gold ones in Primark around March for our USA holiday and have practically lived in them since. I have had a huge amount of compliments on them, but as a result of daily wear and cheap merchandise, they have been looking pretty worse for wear these days and I have for a little while been hoping for some new sandals to see me through the remainder of the Summer and even into next Summer! On Tuesday, after a 9.5 mile hike, my sister in law and I found ourselves in Lidl buying 45 ice creams for the girls up at “girls camp” where we were as leaders. As I passed my the middle section – with all of its random bargain buys and weekly offers, I noticed these beauts. As I looked up and noticed their £5.99 price tag, I was stopped in my tracks – I had to have a pair! 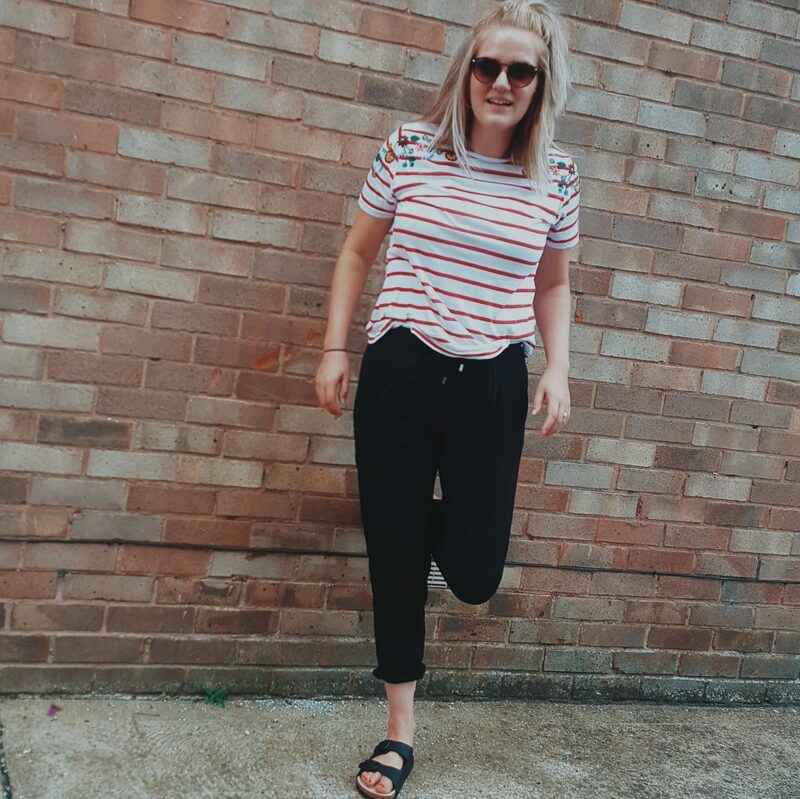 They are super comfy, work well with almost everything for this Summer season and I love the subtle pattern on them too. I am no stranger to Lidl, in fact the trousers in these shots are from there too, which I picked up last Summer for £7. I shop there most weeks for our food shop and always have a scout in their offers as they often have really nice kids and adults clothing for such cheap prices. 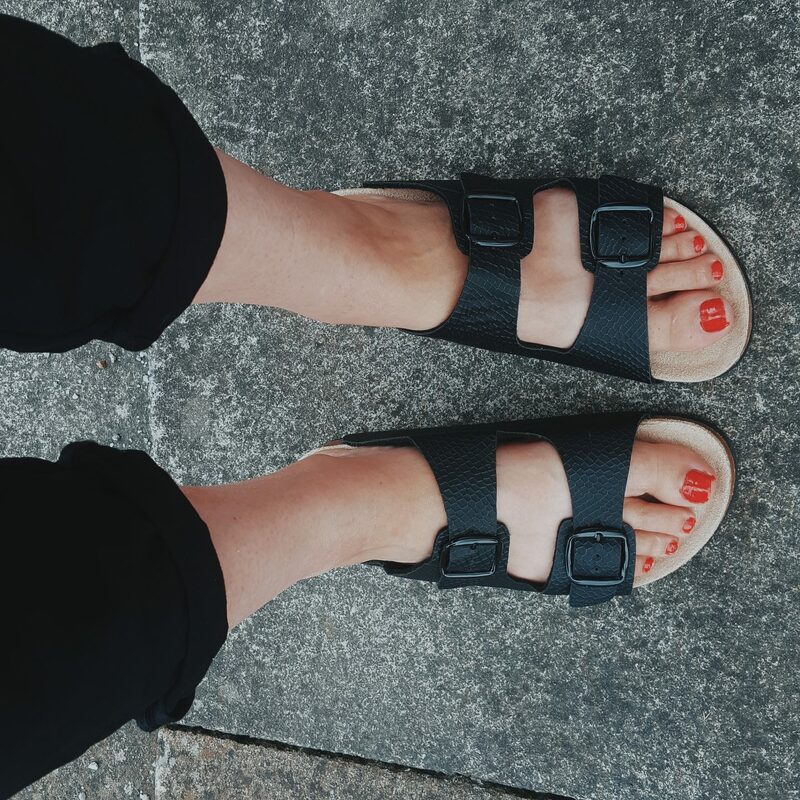 I am so pleased that I found these £5.99 comfy Summer sandals…they are a reminder that you don’t have to spend a lot to look good and be comfy! Lidl also had the single strap style and both came in white, black and sparkle silver (if you’re feeling glam!). 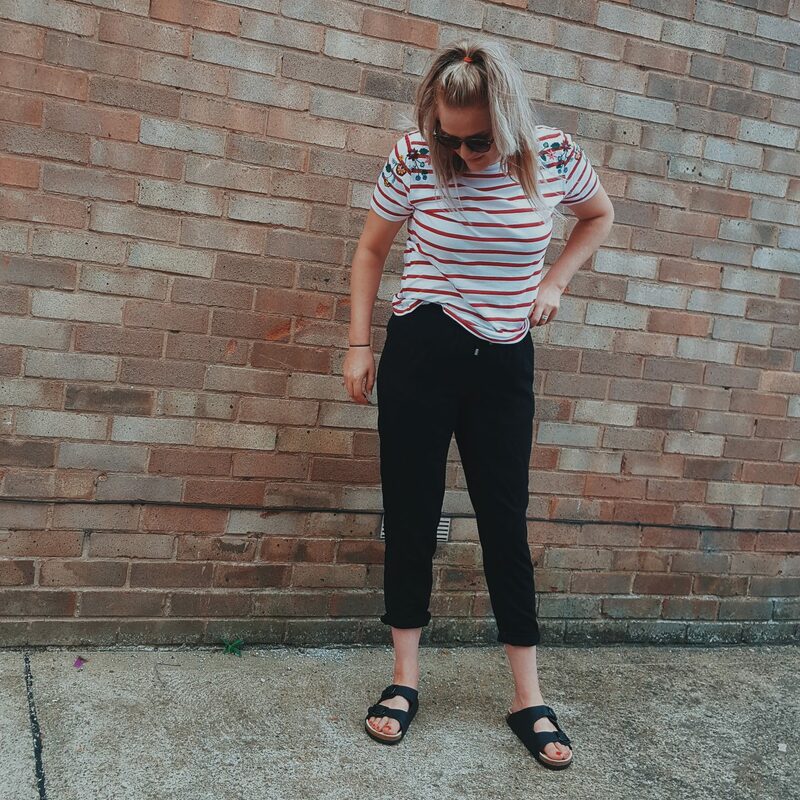 They are easy to wear and easy on the price strings – my ideal thing! 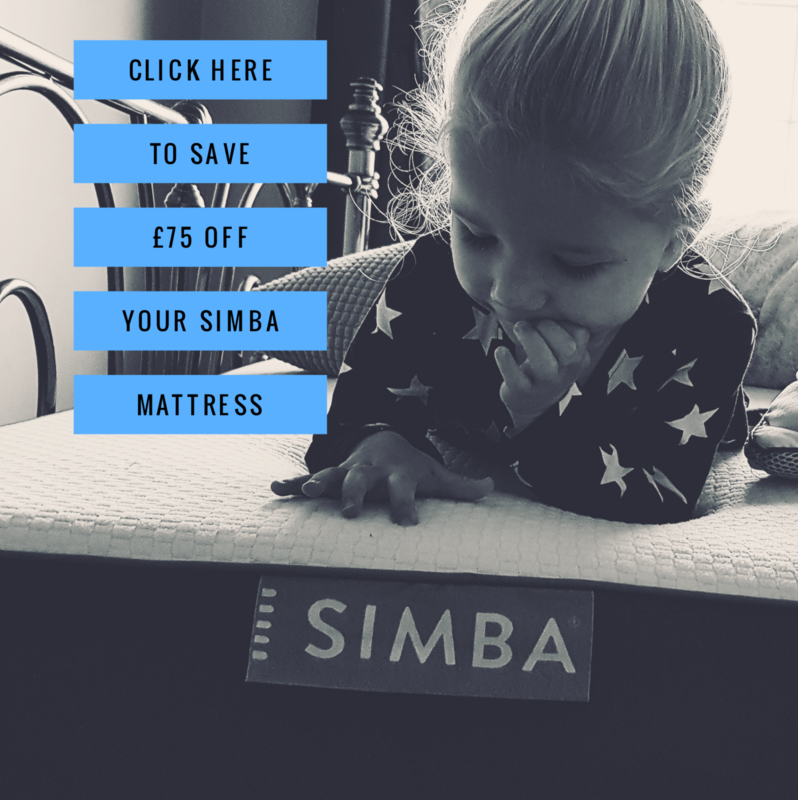 *This is not a sponsored post – I just love them! Next Post #MyHeartyLife | #29 – Rockpooling, Home grown tomatoes and Camping! Hi Mary, you look beautiful! I fell in love with your footwear and your dressing sense is awesome. Thank you so much for your blog, keep sharing!